I finally found a Salvation Army over here. In Chicago, they were plentiful. Goodwills dominate in Atlanta. 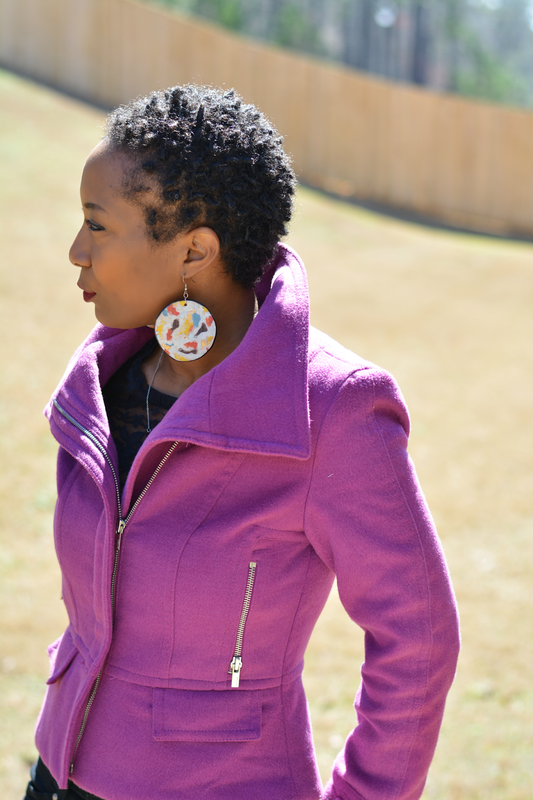 One of my thrifted fruits was this magenta coat. It's a great coat to have when you're pretty much going to wear it the whole day. It's warm and not too bulky so I can move around it. I love the big funnel collar that's permanently popped and keeps the chill off of my neck on this very windy day. I kept my top light so I could keep my coat on and not feel too hot. 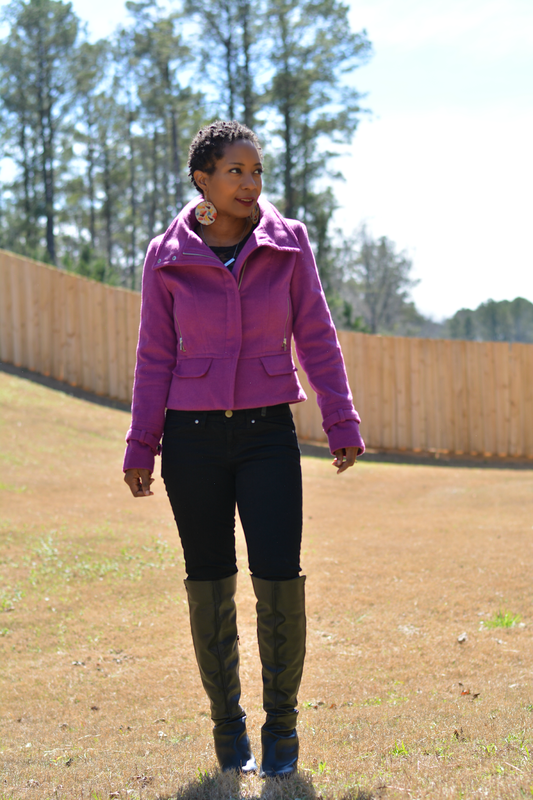 I also wanted to bathe in the gorgeousness of the bright, magenta color of my coat anyway. Underneath is a lace shirt that I wouldn't exactly run to the grocery store in. It's more of a night out top but those are few and far between. I'm running low on clean clothes too and this racy piece was there waiting with no need of an iron. The black jeans were on my thrift wish list. I love that these are made of a heavy fabric that has been slow to fade. They weren't new when I saw them at the thrift. They were like a unicorn in a sea of faded black. I washed them several times and they still remain as black as when I first laid eyes on them. Gap jeans never let me down. 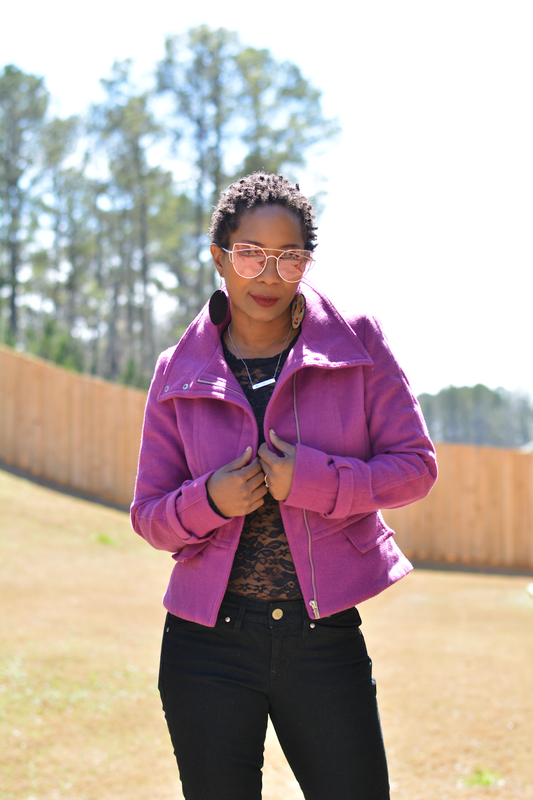 These thrifted pieces really embody the greatness of thrifting. 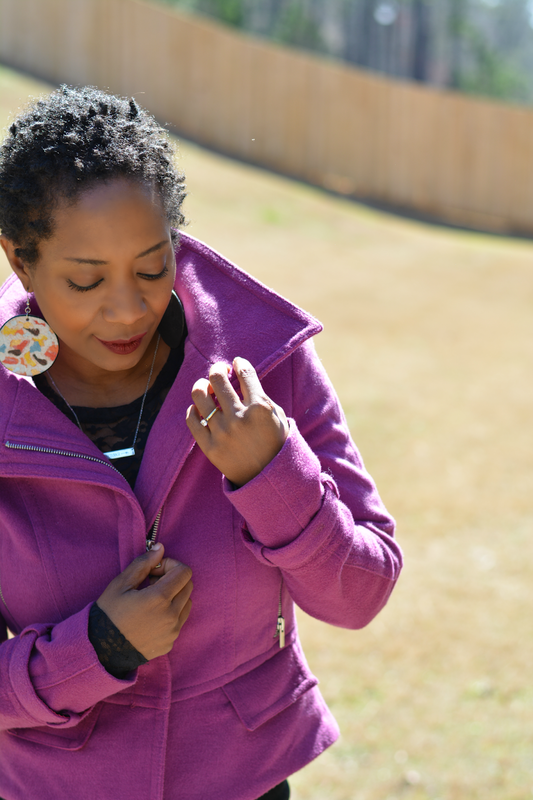 I found a perfectly fitting coat in a great statement color. I found a lace top that seemed to have no place in my wardrobe but has become a great layering piece. I found black jeans that were exactly what I wanted for my closet. Thrift stores have it all. You just have to look.